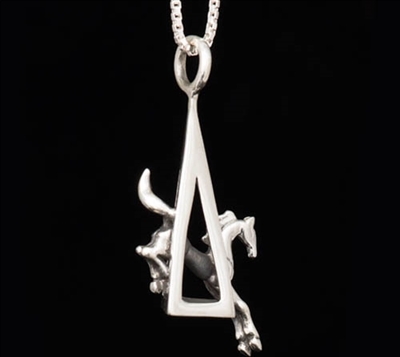 Jenuinely Jeni's Intrepid Apex horse necklace is a dynamic tribute to eventing! The apex, or corner jump is one of the most challenging obstacles in the cross-country course. Requiring exceptional training & skill, along with an unmatched partnership between horse and rider. The spirited, leaping horse serves as a beautiful inspiration to the loved eventer in your life. 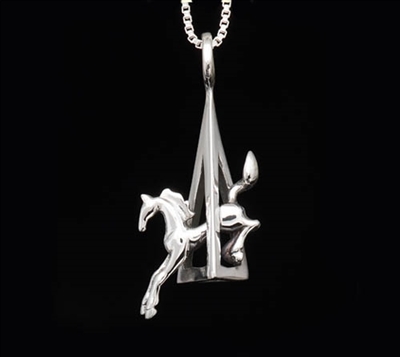 This necklace is multidimensional, every angle of the design reveals intriguing detail and character.